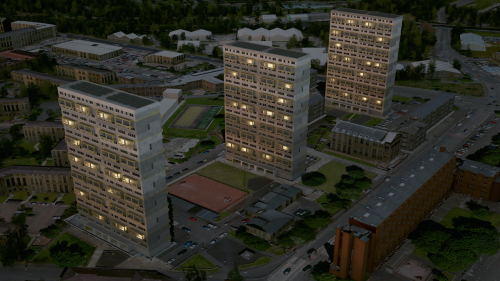 Collective Architecture, on behalf of Queens Cross Housing Association, has developed proposals for the refurbishment of 3 blocks of flats, originally built in the late 1960s, and located in the Woodside area of Glasgow. 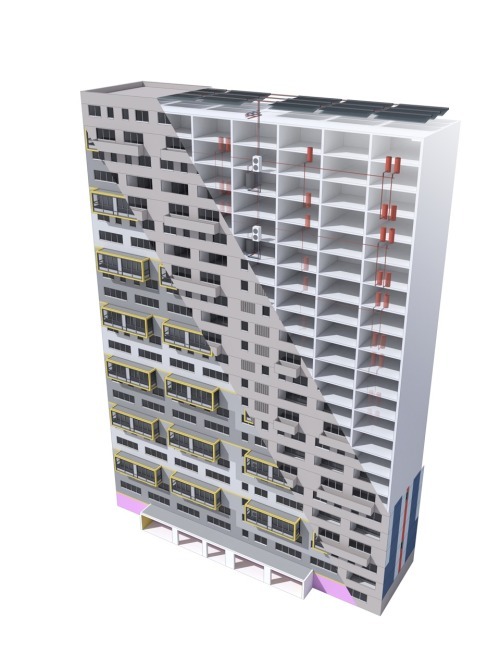 The refurbishment questions the current practice of demolishing many high-rise residential building, and argues that some are well suited to providing sustainable communities for the future. 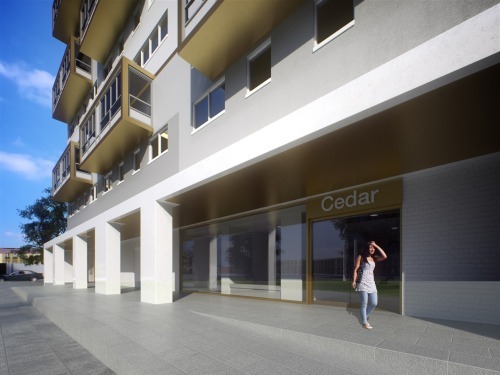 The proposals for Cedar Street and Cedar Court are pioneering on an International level and will bring the Cedar ‘Multis’ to the forefront of energy performance in the UK. Currently targeting the Passivehouse EnerPHit standard for retrofit, the proposals are a significant improvement over current building regulations, with the intention of mitigating fuel poverty for the 314 homes within. As much as an 80% reduction in space heating costs is anticipated. Whilst residents will benefit from reduced heating and hot water bills, the proposals also seek to improve access and amenity within the blocks, with new communal entrances providing dual sided approaches as well as new lifts. In addition external balconies are to be enclosed, to allow them to be used all year round. To help fragment the elevational proportions, tonal variations have been designed, in association with Graphical House. These also suggest a graphical interpretation of the duplex apartments layouts that lie behind the facade. Metal surfaces have been employed to lift out key elements from the elevations. The metal finishes capture diffuse light from within providing incidental illumination to the elevations. At ground level glazed brick and precast concrete entrance canopies have been used to ensure a robust material palette to heavily trafficked areas. Work is scheduled to begin in January 2016 and will last approximately 66 weeks.